The simplest response to being taught the story of Jacob and Esau as a child is to wonder which of them you are. Are you sensitive, thoughtful Jacob, who cleverly acquires his brother’s birthright? Or are you the virile, dull Esau, a physical genius who gives up his birthright for a bowl of lentil soup? 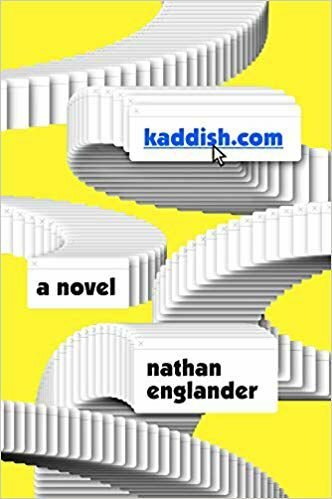 The answer, as Nathan Englander posits in his newest novel, “kaddish.com,” is that you are, in fact both. It’s 1999. Larry, who left the Orthodox Judaism of his family, arrives sullen, surly and (worst of all) tattooed to his father’s shiva, held in the house of his sister Dina. Though he loved his father dearly, Larry is more than ready to give up his birthright. He stumbles upon kaddish.com. The site offers its customers the chance to pay dedicated yeshiva boys to say Kaddish on your behalf for the requisite 11 months. We’ve spent too much time at Shuli/Larry’s nadir to believe that this is his one “true” life, whatever that means. Soon, he’s tasked with finding the root of some un-yeshivish behavior from a pre-bar mitzvah boy in his class. He comes to a terrible conclusion: though he’s been saying Kaddish for his father all these years now, the kinyan he signed away renders his prayers irrelevant. Shuli soon finds himself consumed with a need to re-obtain his birthright. Englander’s sense of humor and willingness to wallow in Shuli/Larry’s basest moments aren’t out of the ordinary for him. Fans of Chaim Potok, author of the bestselling “The Chosen” and “My Name is Asher Lev,” now have a chance to explore another side of the late novelist’s work. Born to a Chasidic family in New York, Potok came of age during World War II, then went on to become a Conservative rabbi. He served in the army as a chaplain in South Korea, where he found that Judaism, so fundamental to his identity, had no place in that culture. This collection includes “Out of the Depths,” an original work about Russian Jewish ethnographer S. Ansky; “Sins of the Father,” a combination of the two one-act plays “The Carnival” and “The Gallery”; “The Play of Lights,” based on “The Book of Lights” about two young Jewish men serving in Korea; and “The Chosen,” based on the novel of the same name about a friendship between two young men during and after World War II. The collection also includes a transcript of an “Out of the Depths” post-performance panel discussion with Potok, which is probably the most fascinating section of the entire book. 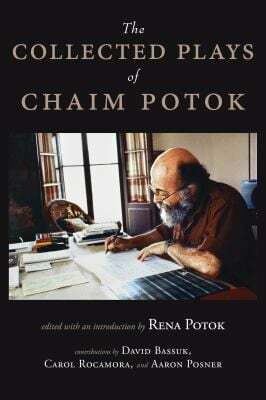 An introduction written by Rena Potok connects Potok’s life to the plays’ themes and analyzes how each explores his ideas. These additions elevate the book from simply a collection of plays to an in-depth look at the author himself. In both his novels and plays, Potok’s protagonists struggle with what may be the biggest question of postwar 20th century American Jewish life: How do you live in a secular world without letting go of your Judaism? Relationships between male friends and between fathers and sons serve as another important theme to Potok’s writing. Fathers play important roles in symbolizing one side of the cultural confrontation, while friends serve as confidantes in the midst of this conflict and even sometimes as narrators. These articles originally appeared in the Jewish Exponent, a Jewish News-affiliated publication.